Living Made Easy is an approved service provider of Home Care Packages, as well as providing private in-home care. We work with older people who want to stay in their home but need some extra assistance to maintain their independence. Everyone should have the opportunity to enjoy later life. For some older people, the challenges of remaining independent mean there comes a time when extra assistance is needed through in home support. Living Made Easy is an approved provider of Home Care Packages. We can provide support with anything you need to maintain your independence at home or in the community. At Living Made Easy we don’t have a standard approach. All of our personal support services start with us spending time to understand you as an individual. We also have a Registered Nurse who is able to provide a more in-depth assessment of clinical needs and care. With our expertise, we will help guide you through your home care package and how to get the most out of your supports. Our service includes personal care, respite care, companionship, meal preparation, house cleaning and much more, supporting you to live independently in your own home. Full time, part time or weekend in-home care. Living Made Easy provides the highest quality home care services and support for you to live independently in your own home. We want you to feel well looked after – enjoying every day the way you choose. We can manage your home care package and private home services to maximise quality of life, independence and social interaction. Our aged care home support service is designed completely around you and your wellbeing. It starts with you… Before we recommend any services, we would love to have a chat and get to know you. If you want, we can also talk to your family, friends or carer. We’ll speak to people who are important to you. Then we will work with you and make sure that we cover all areas of care and support that you will need. We do this to make sure we really understand you and can support you in the best way possible. 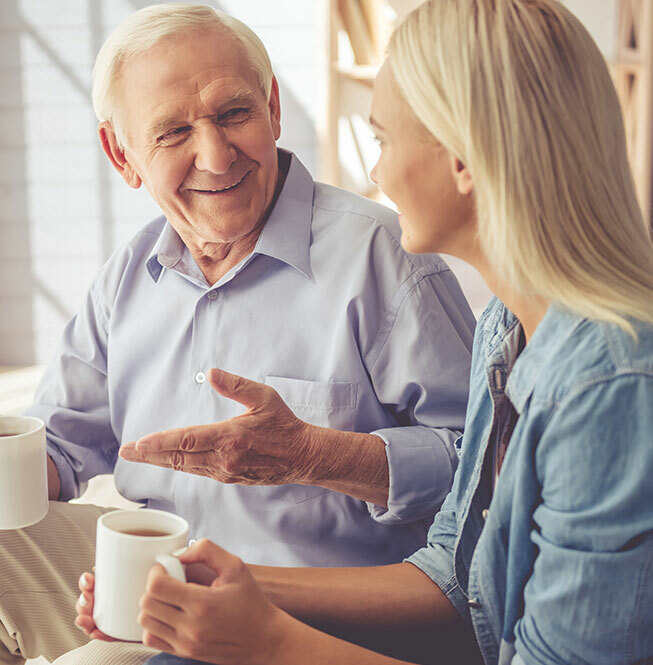 Our approach ensures your family remains confident you are living safely and independently at home. Living Made Easy will take the stress out of planning and administering this next stage of life. Because that’s what it is…the next stage of life. And life is for living. Our aged care support staff are highly trained and experienced in supporting people to maintain an independent life. Our staff do not wear a uniform, which means they ‘fit in’ to your life in a way that is unobtrusive and supportive as possible. Our wellness approach means that we provide personalised service that suits you, you choose the time and day of care you required and you have the choice to choose your preferred staff. Over time, your needs might change. You may need more or less home care support, or support with different activities. We continuously monitor and review the services we provide to make sure your needs are being met. If, at any time, it does not meet your needs and goals, we can work with you to review the aged care support services and make changes.